The onus is on a small business to make their own membership cards – a fantastic tool to attract customers and promote your services – but they usually rely on cookie-cutter templates from online office supply stores. 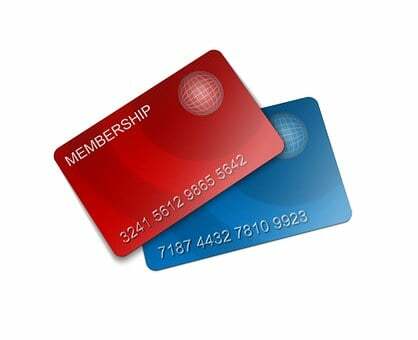 If you want your business’ membership cards to stand out, then take control of your membership cards creation! Make them as unique as your business, instead of following the herd and using a prebuilt template! Here’s how! The first thing you’ll need to get you started on building your own membership cards is a copy of Microsoft Word (at least 2013 version or newer). The following is how to make your own VIP cards! Open Microsoft Word: Open Word and find the search bar. Type in ‘business cards’ then run the search. Double-click on whichever business card template you like as there are a few to choose from. Your template will then open. Membership Card Inclusions: Time to transform your template into a membership card, here’s everything you’ll need to include! Company Details: Seeing as this card represents your business, you’ll want to highlight, your companies name, website, logo, and phone number. Optional: Your company’s address. Seeing as space is limited make sure to have your company’s name as the centerpiece, while everything else can be in a smaller font. Member Spec’s: Since this is a member card you’ll need a decent sized portion dedicated to their information – name, signature, and number. Optional add-ons: photo or barcode. Another important piece is having the members name in a highly visible place and in an easy to read font. To cram all of this onto a small wallet-size card will take some finagling but it can be done! The best thing you can do to help this process along is performing a Google search and find a couple of membership templates that you can reference. From there, this will give you an idea as to how to structure your card. Create a Master Template: To input the above data you want to start by modifying one card by adding a company, member and membership information. Stick to adding the outlines before you add specific customers for now. Change the font, font size, and color as needed. Once you’ve created a card you’re happy with then highlight all the fields for that card and copy (Ctrl-C) then paste (Ctrl-V) onto each card until you’ve replaced the whole page with your membership card design. Save your work as ‘membership template’ so you have a copy of the original. Adding Member Specifics: Now that you’ve created your master template, start inputting customer data in and save a copy – under a title like, ‘membership cards’ so it’s easy to differentiate between the master template. Print & Laminate: Once you’re done, have your cards printed and laminated at an office supply store. You could go the easy road and buy into a pre-made membership design or you can design your own and do it entirely your way!